I apologise if you were looking forward for an outfit post but I figure I'll share some makeup that I love with you instead even though I'm no expert in this aspect. Anyways, it's be fun for us to exchange some tips and tricks,right? 1. 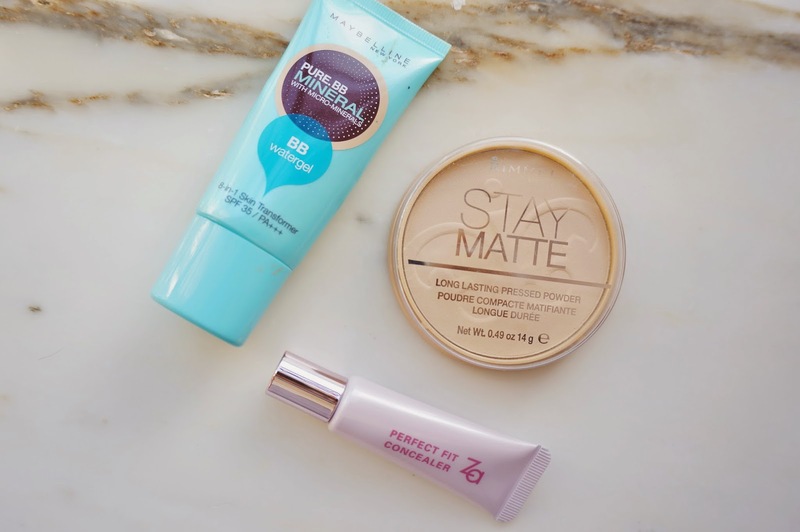 Maybelline Pure BB Mineral BB Watergel: To be honest, I am currently scouting for a new BB cream but don't get me wrong, this one works just fine. Being a waterbase bb cream, it still gives me a bit of coverage and obviously, moisturizes my skin without making it feel oily. 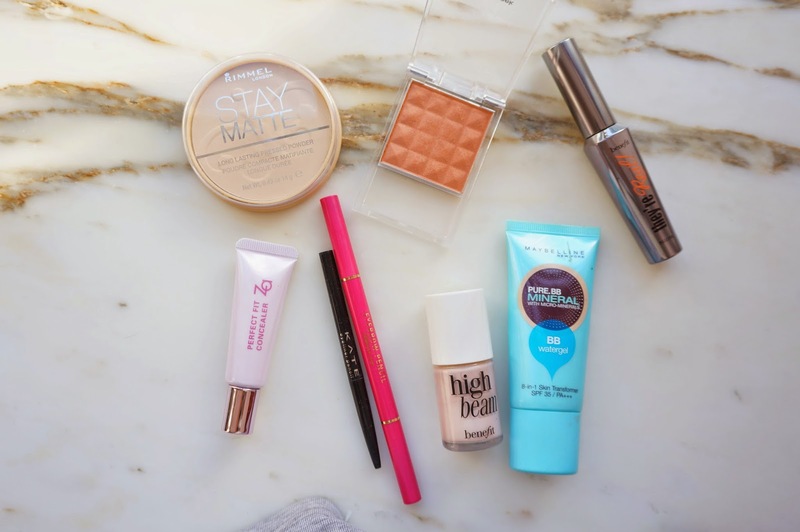 Moreover, I like applying bb cream with a damp sponge as it gives a smoother finish. I indeed have nothing to complain but I do want to try something new as this tube has lasted forever. Any bb cream recommendations are appreciated. 2. Za perfect fit concealer: I read about this product in a Japanese magazine when my Revlon one was running low so I decided to give it a try. I have to say, this is by far the best drugstore concealer I have ever tried. Covering the redness and dark circles on my face, my skin looks quite glowing and flawless after using it. Surprisingly, after doing some research online, I found that Za is a subsidiary of Sheiseido and is mostly sold in Asian countries like Singapore, Japan and Hong Kong. Unlike other drugstore concealers that sold in Hong Kong, this Za one actually provides three shades to choose from (others often have two shades only) which never hurt anyone. 3. Rimmel Stay Matte Powder: I guess there's no need to talk much about this powder as every girl with oily skin knows it and uses it. It is quite longlasting as it says on the packaging but still, it cannot eliminate the shine around my nose for long which is fine as I have super-duper oily skin in that particular area. (sigh) It controls the oil on my forehead nicely though. 4. Blush by Daiso Japan in orange: Let's conclude my feeling for this one in a sentence - absolutely loving this bronzy-orange shimmery blush, especially for its price. 5. 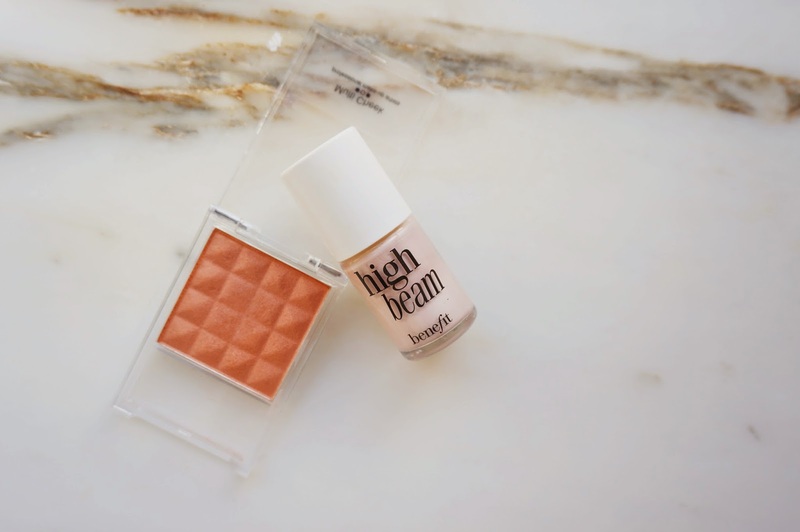 High Beam by Benefit: To be honest, I use it only when I have more time or I want some extra glow on my face, i.e. weekends that I actually leave the house. I put it on the high points on my cheekbones, cubid bow and my cheeks but not on the bridge of my nose as it doesn't look good there with unknown reason. Wondering if it just bothers me or others find it weird on the nose too.